Home Community	Spend the Holidays in Asbury Park! Travel during the quiet season lets you see the sights at your own pace, save money while on vacation, and experience a side of your favorite destination that’s usually reserved for the locals. Plus you can get a reservation at your favorite restaurant! Check out some of the great winter rentals we have below with both weekly and monthly rates and spend Thanksgiving through New Years in Asbury Park. SATURDAY, NOVEMBER 26th: Small Business Saturday, all day throughout the downtown, sponsored by American Express the following events will take place. #AllIWantAP? 4:30 pm Carolers & Live Music in Merchants Park (Corner of Cookman and Grand). 5:00 pm Tree Lighting in Merchants Park. Krampus Film Festival at Paranormal and The ShowRoomCinema; Cookman Ave. Photos with Yeti at Paranormal Books & Curiosities. 5:00 pm Holiday Movie Projection – Corner of Bond and Cookman. 5 BR, 2 full BA. Only 2 blocks from the beach. Large deck for entertaining. Wifi, HD 60″ and washer/dryer included. 11/24/16 to 1/3/17 Rent for 6 weeks and only pay for weekends! $2900. 4 BR, 2 full BA. Master suite. Deck & grill. Large open front porch. Large open dining/living room w/separate TV room. 12/24/16 to 1/3/17 $2500. 3 BR, 2 full BA. 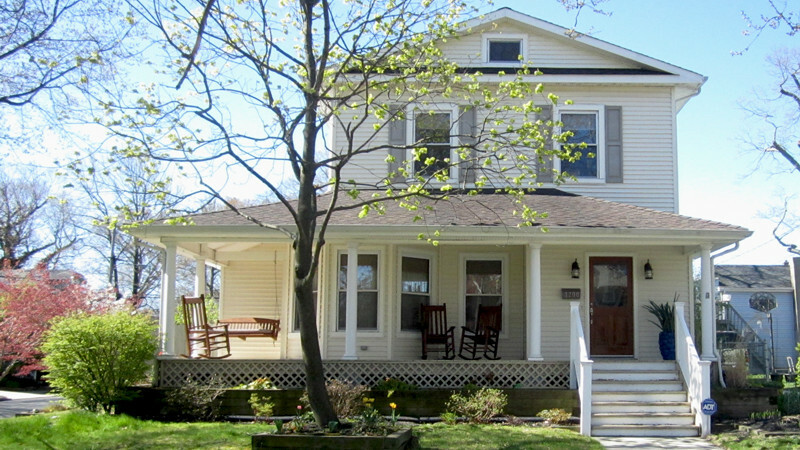 Historic home w/wrap-around porch w/swing & rocking chairs. Gas fireplace. 5 flat screen TVs, Wifi. 12/24/16 to 1/3/17 $2250.